When my sons were young, we spent many a happy holiday on various Greek Islands and I came to love Greek food, especially Tzatziki so when I spotted this recipe in one of my books I wanted to try it as soon as possible. To be more authentic, lamb could be substituted for the beef but I tried it with braising steak and the result was extremely tasty. Enjoying an extremely warm Indian summer, my slow cooker is really coming into its own at the moment as I can pop the ingredients in it in the morning and spend the day out enjoying the lovely sunshine. There is nothing nicer than sitting outside as it cools down with a beautifully cooked meal ready and waiting. 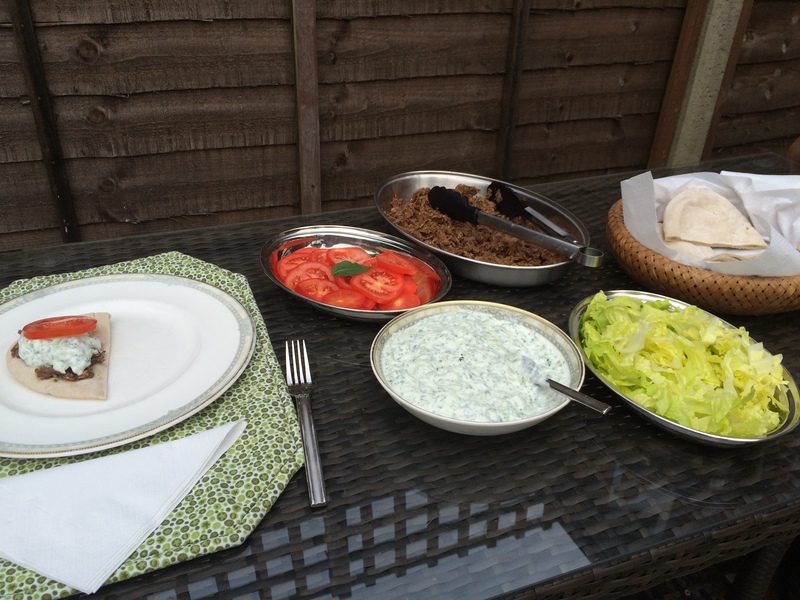 It only takes a few minutes to shred the beef and lettuce, slice the tomatoes and heat the pitta or flatbread and then sit and enjoy it ‘picnic style’ outside on a lovely warm evening. I cooked my beef for nine hours and it shredded beautifully and was ‘melt-in-the-mouth’ delicious. Add the yoghurt, lemon juice, garlic, oregano, salt and pepper to the slow cooker and mix well. 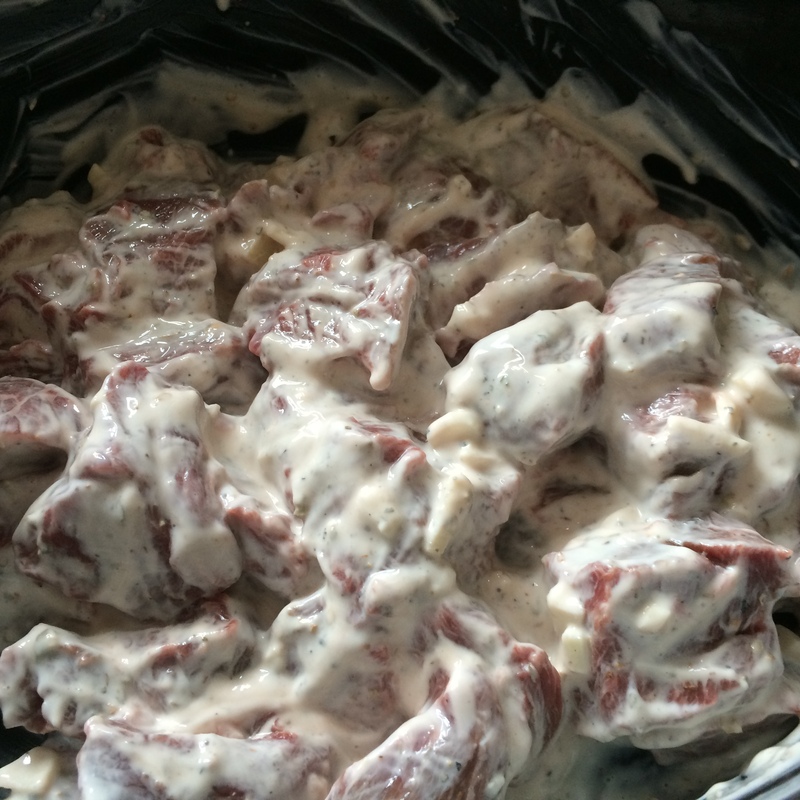 Add the beef and turn over to coat with the yoghurt mix. Pop the lid on and cook for 5 hours on HIGH or about 9 hours on LOW until the beef is tender. Shred the beef and mix it with the cooking juices. 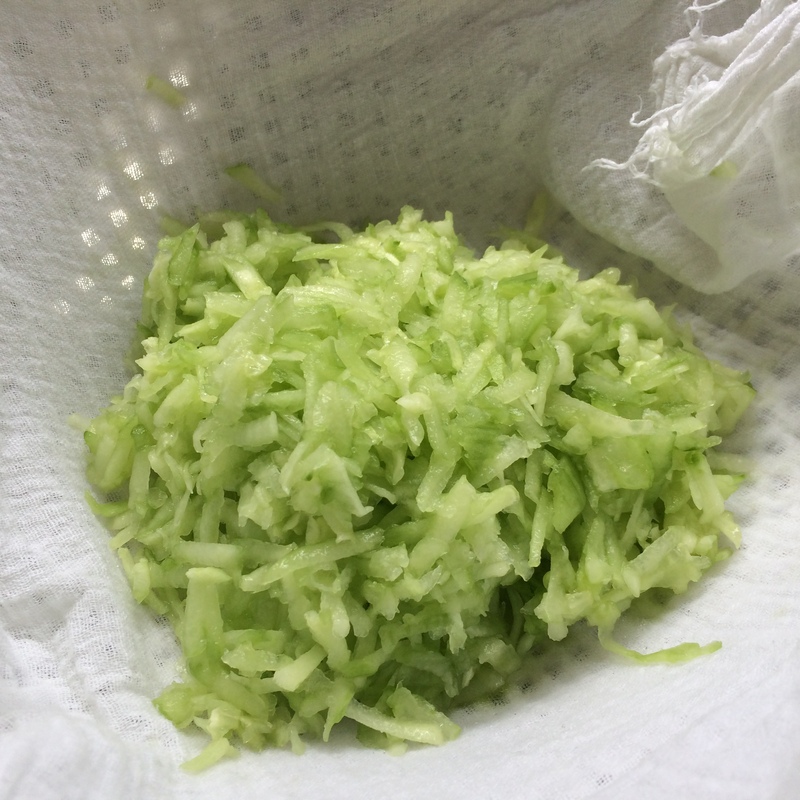 To make the sauce – put the grated cucumber on some muslin and sprinkle with ½ teaspoon salt and set aside. Put the yoghurt, remaining salt, lemon juice and mint into a medium sized bowl and stir well. Wrap the muslin around the cucumber and squeeze well to remove the excess juice. Mix the cucumber into the yoghurt. Chill. 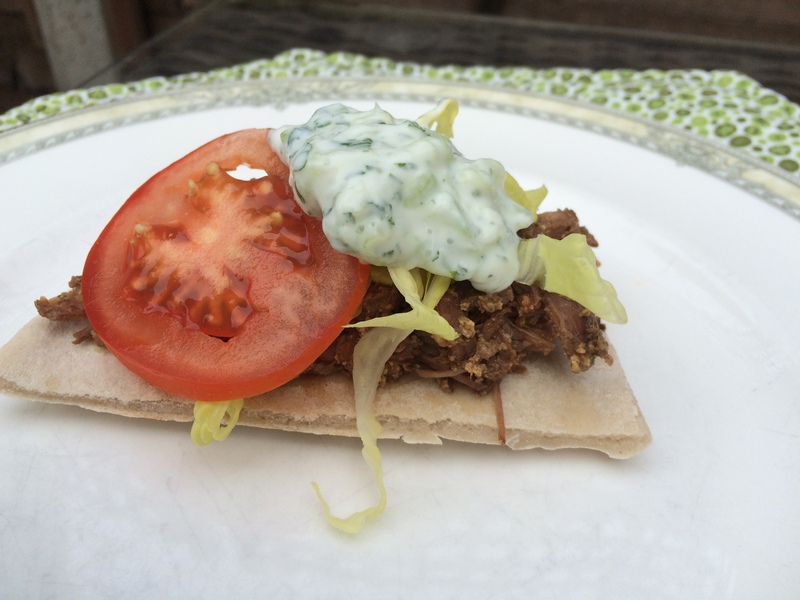 Serve the shredded beef with gluten-free flatbread/pitta, tzatziki sauce and the shredded lettuce and tomato. Leave out on the table and let everyone help themselves. This entry was posted in Brunch, Dinner, Lunch and tagged Beef, Dinner, Gluten Free, Healthy Eating, Lettuce, Lunch, Mint, Probiotic Yoghurt, Tomatoes, Tzatziki, Wheat-Free. Bookmark the permalink.